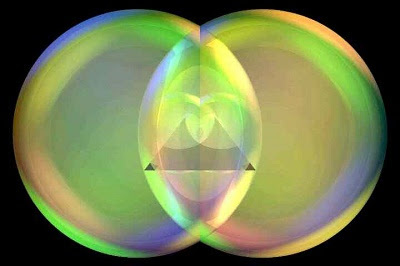 Why this might be an important insight on an article about "Sport" and the Mysteries" will reveal itself soon, but for now, lets immerse ourselves into the world of Sacred Geometry and the Master Number. In Sacred Geometry, the first 2-dimensional shape is that of the circle. 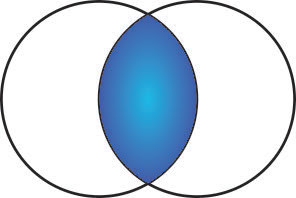 From a "form" perception, we may view the circle as being complete "unity". 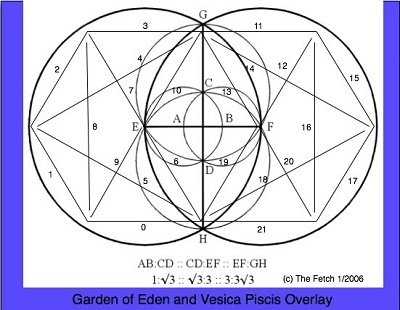 However, within Sacred Geometry is the idea of "form", "sequence", and "geometry", each with its own unique esoteric properties. In sacred form we find basic vibrational qualities of simple geometric shapes. In sacred sequencing, we view reality through a mathematical sequencing. This blog is a very chaotic but insightful demonstration into the use of sacred sequencing to view reality. The very basic components to the circle, then, would be the basic idea of the circle as a form, but in sacred sequencing, we view this form as being a sequence of numbers which we call "Pi". In the Illuminatus philosophy, the first 32 decimal digits of Pi form the primary digit sequence to the underlying philosophy. In the Sanskrit, there is a hymn to Lord Shri Krishna, the Lord Shri Shankara, where, when using Vedic mathematics and gematria, shows that Pi is encoded out to 32 digits. This same 32 digit sequence is the most probable inspiration for the 32 or 33 that appears on the Eye of Providence in many Freemasonic works. When we view Pi as a form of sequencing, we view Pi through a series of mathematical transpositions and modifications within the sequencing channels. One of the primary examples of encoding words into "Pi Proportions". In this way, we use the Platonic Cycle of 25920 years and reduce it to its "Pi Proportion". The way we reduce concepts to their "Pi Proportion" is to view cycles in time as being representative of circles, and hence Pi. However, the "Pi Proportion" may viewed as either its full cyclical orbit or sequence or its half orbit or sequence. In the case of the Platonic Cycle, this is formed by the relational view of the Polar North Star set against the wobble of the Earth. This period, divided by two, gives us a co-relational value or diameter in relationship to the time of the cyclical orbit or movement. When we divide the 25920 years by 2, the value is 12,960 years. This creates the gematria word of LIFE. Within this system of "Pi Proportion" gematria crafting, there are numerous methods through which gematria coding may reduced. In the case of the word LIFE, this word reduces to a number known as "the Master Number", which is often written as "11:11". In a system of gematria, Letters share in the process of sequencing in that Letters behave as if they are numerical sequences. In order to understand how this is so, one need only run through the dictionary. The word "ABSTRACT" will come before the word "ACCESS". This is precisely so because the Letters are rationally and intuitively understood to partake of a mathematical property. In logic, we recognize that since AB represents the alphabet digits of "12" respective, while "AC" represents the alphabet digits "13". Since "12" precedes "13", then the alphabet sequence of AB must come before the word AC. This logic can be extended out to the 3'rd, 4'th, 5th positions of the Letters of words. This very "profane act" of ordering words in a dictionary according to a mathematical sequence not only aids greatly in the categorization of the language, but the very act serves to impress the very inseparable properties of letter as numbers and sounds. The very basic held Qaballistic idea that "letters/numbers/sounds" comprise the whole of the creation, upon further reflection, reveals itself through a very simple understanding of the ordering of a dictionary. Having a rational comprehension of the logical framework upon which "sacred sequencing" works, we may then begin to peer into the patterns that are impressed archetypes upon the greater of humanity. In the case of the word LIFE, we simply reveal that L is the 12th digit, I is the 9th digit, F is the 6th digit, and E, having a right to remain silent (it is the 5th Amendment to the Bill of Rights), reveals that the sum of 1:5=1+2+3+4+5=15=O Letter, or the "zero sound". Along each step of the way, one could then begin to affix actual encoding archetypal meaning, or one may begin to search for "synchromystic" road markers as an insight into the Construct. You should also be aware that literal archetypal constructions and gematria are encoded using this technique, but that the most common number used is that of the "6" in that the Construct is set against the 6. 2160 is the diameter of the Moon in English miles and is also the number of years to a single sign of the Zodiac. 360 is of course the number of degrees to a circle and hence is another sequence representation of the extension of Pi as a decimal digit "Word". 360 is also known as a "default IP address" in that 192.168.x.x reveals that 192.168 = 192+168 = 360, so for all of you who are into networking and computer IP addressing, the next time you type in the common default address of 192.168.x.x, perhaps now you can see Pi springing up its head again. Here we have the number of degrees to each angle of a Hexagon and since the hexagon is a "sacred form" of the more complex "sacred geometry of the "cube", we may view the "cube" or "60" or "hexagon" as reduced representations of Pi. The number 10, therefore, is the least whole number of 12960 as a division of 6. The number 10, of course, being comprised of the 1 as the diameter and the 0 of the circumference is yet another pure expression of Pi as a "sacred sequence" reduction. However, as a pure occult construction, the reduction of LIFE as a series of "6's" is codified in the "Torah" in the story of the Serpent and Eve at verse, ahem, Genesis 3.14 (pi). This is what is known as an acroamatic cipher, or a form of oral or written instruction or story about a key letter or component to the larger Construct. In this case, the serpent as represented by "snake eyes" is referring to the design of the cube (pi) in that if we number the cube as that of the dice, when you have snake eyes showing, you must "go to the belly" and utilize the "6's" that are but the belly of the serpent, or the digits of the dice that are resting on the surface of the table. Two 1's as "two" may also be viewed as an 11. This "2" of "11", typically set in a Gemini or Twins or "number II" in Roman numerals all reveal "66". When set against the sequence of the Alphabet, we note that the sequence of 11:11 may be reproduced in the A, J, and K, or the Ace, Jack, and King in that the A is the 1st letter, the J is the 10th Letter, and K is the 11'th Letter. This forms the more prescient code of 11011, which, when ciphered back to the belly of the serpent, reveals 66066, or the mathematical expression of 6*6*10*6*6, or the number 12960, which is the word "LIFE". The great "constant" is the mythological word, which is Pi. Pi, in its representation of "form" may be accurately portrayed as "the Circle". The circle, of course, is 360 degrees. The number 360 may be viewed as a factor of 36 and 10. In the Hermetic Art of Qaballa as it applies to Gematria, any whole number arrived at through the division of a whole number by a whole number is said to be a "fractal" of the original number. Although you may arrive at numbers with decimal values, often the decimal will float. However, for this representation, it is best to first resolve how the concept works when applied to whole numbers. However, all of this division and redivision (or multiplication upon multiplications) is really just another way of forming sequences. The easiest demonstration is the fractal of 10. Hence 36 may be a viewed as a fractal of 360, 3600, etc. 36 may also be viewed as a fractal of 72, 144, 288, 576. You must be aware of the number and how it may be appearing in a series of progressions. For instance, we may write the term "36", but we know that the whole number being represented needs to be multiplied by 10, or 360. Hence Isis "secret number is "36", which may sum to 666, or multiplied by 12 to arrive at 360 in which the 12 represents each sign of the Zodiac and hence the 36 represents a division of each sign into segments of 3. When we view this concept of fractals when set against the "the Master Number", we often note that the Master Number is written as "11:11". Yet we also know that 1's are 6's and so the sequence 11:11 is really the sequen we know that the product of this esoteric code is derived from the sequence of transpositions of 11:11 = 66:66 = 6*6*6*6 = 1296. 1296 is a fractal of the more lucent Pi Proportion term of 12960. 12960, in turn, is more lucidly represented as AJK, or 11011. Here we note that the "0" in the middle of the formula 11011 is really an occulted (partially hidden) 10. From here you may deduce that 11:11 is a fractal of 11011. Another way of understanding this is that the "0" is really shared by both halves of the formula 11011 in that 11011 is 6*6*10*6*6 = 360 * 360. 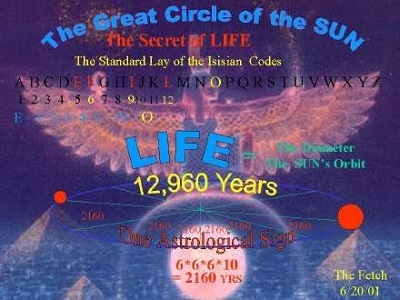 Since the product of 360*360 totals 12,960, or the number of years to half of the Great Year as put forward by Plato, we may then discern that "LIFE" as an Occult construct relative to Qaballa is really comprised of two circles. Further, we find that the "1's" of 11011 are really ciphered "6's". Because one is inundated with Occult coding in logos that then grace the fields of sports stadiums. The formula of 11011 is really 66066, and this is really 6*6*10*6*6, which is further extended to representation of two halves being multiplied together, or 360 * 360. We may then anchor further sequences to the 360. By taking the fractal of 360, or the number 36, we may then sum the sequence of 1:36 to reveal 666, or the Secret Number of the Sun. In all cases, however, the great constant remains. The number 360 or its fractal of 36 all cipher back to a number sequence representation of Pi. 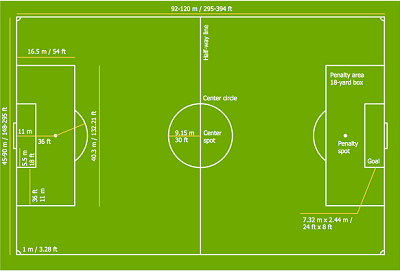 Now consider the dimensions of sports stadiums. 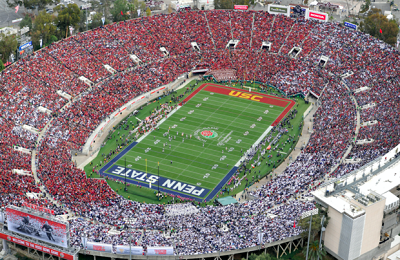 American Football is set on a grid of 100 yards from goal line to goal line. Since each yard is comprised of 3 feet, 100 yards times 3 feet totals 300 feet. The number 300 is the sum of 1:24, or the Letter X, which is a representation of the union of male and female. 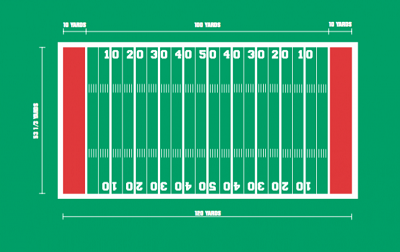 When you consider that the each end zone is 10 yards, adding another 30 feet half, then the total distance of the playing field, end to end, is 360 feet, a number that matches the degrees of a circle. Further, in the manner of "sepherim", the field is delineated first into 5 yard increments, to reveal 365 days in a year, and these 5 yards are further delineated by single yards as if to reveal the leap year, or 366 days. This pattern is actually used in the design of the 26 of English. Then, of course, we have Beis, or Base-ball. To me, it remains one of the most beautiful games ever invented. Perhaps this is because the relationship of baseball relative to Pi is nearly impossible to escape. 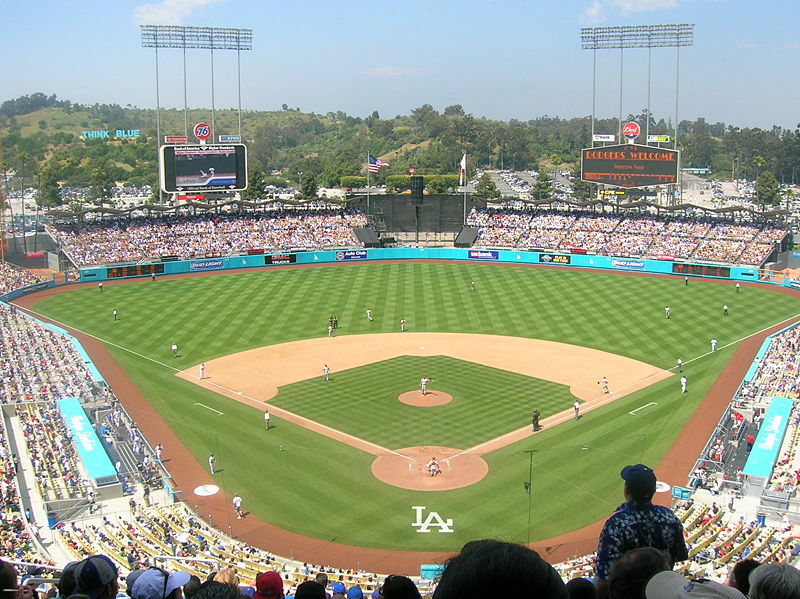 For instance, how could a fan of the game familiar with Dodger Stadium not see the prominent "360 FT" mark in the corners of the Los Angeles Dodger Stadium for years upon years? Of course, Dodger Stadium is one of those stadiums whose symmetry is absolutely stunning in its beauty. But this beauty is also a property of its design around universal (Pi) measurements. The two foul lines are measured at 330 feet. Doubled, it produces 660 feet, a "110" half of the Master Number. The distance to right and left field are 360 feet each, which if mirrored one against the other creates again "the Master Number of 360*360, or 11011. The total value of all primary outfield measurements total 2525 feet, which when divided by the total number of entries of 7 returns the average outfield length of 360.714, so close to 360 feet so as to be inconsequential. Of course, we are not applying a calculus to the average dimension, but showing how the general dimensions are designed to match or revolve around Pi. Another stadium that is famous for its Pi dimension is the right field line of Yankee Stadium. 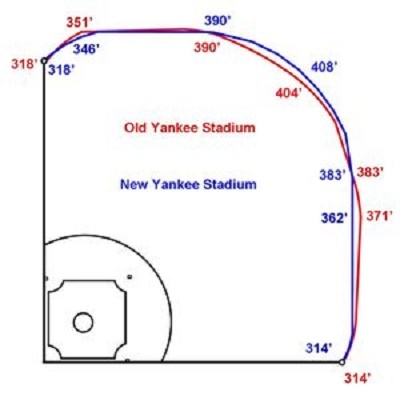 However, a further analysis of Yankee Stadium reveals similar designs around Pi. The "Old Yankee Stadium" had dimensions that revealed Pi in two unique ways. 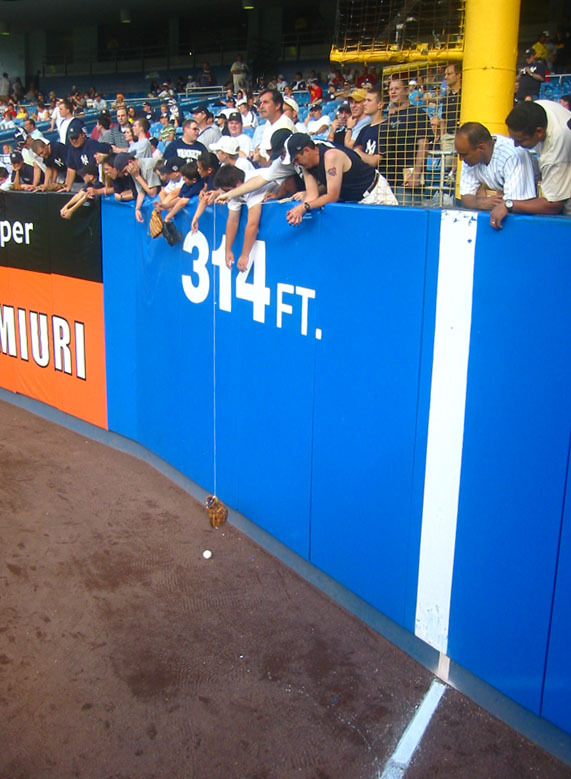 First, Pi was (and remains) prominently displayed on the right field foul pole. Pi is right. The first 6 dimensions from left field to right field yielded a result of 2217 feet, a "Pi representation number" in that 22/(1*7) = 3.1428571. When the 314 feet of right field is added back into the equation, the total outfield measurements show 2531 feet, which when divided by 7 reveals an average measurement of 361.57 feet. The first six dimensions reveal measurements of 318+346+390+408+383+362 = 2207, a Pi representation number in that 22/7 = 3.1428571, or a reciprocal 7 representation of Pi. When Pi (the right field corner) is added back in, the total is 2521. When 2521 is divided by 7, the average measurement is 360.1428571, a value closer to Pi in circle degree representation than Dodger Stadium, which is synchronistically similar. Since 360 times 7 yields up a value of 2520, a number that has digit commonality with the Great Year of 25(9)20, the "House that "Ruth"" built has surely become a citadel to the Sun as one can willfully design. You may then take any given stadium and apply the same process and what one finds is that the "mesmer number" trends towards 360, or Pi. Of course, this is but the "hidden" or "outer measurements". The inner measurements are designed such that the distance between each "base" is 90 feet, as in 90 degrees of a circle, with a total number of feet from "home to home" being 360 feet, while the distance from the pitcher's mound to home plate is 60'6", a number that when multiplied again (6*60) reveals 360. Even the way the game is designed, the numbers become but ever so important representations to the larger Construct. Even the world's most popular sport may be viewed as having been designed around the circle. 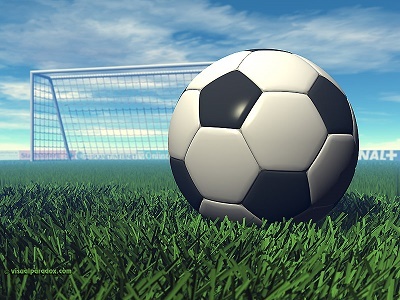 According to FIFA rules, the maximum distance allowed for soccer (futbol) local matches is 130 yards (120 meters), while this figure is adjusted for International matches to a maximum of 120 yards (360 feet) or "110" meters, a "Master Number" representation. The above representation provides many examples of the "Master Number" in either it's "36", or "11" representation. Surely one could too consider the world's most popular sport as being designed around "the Word", or the unknowable constant of Pi. Aside from the Master Number and Pi being integral to the design of sports field of play, the games that are played on these field of play are equally designed such as to encode the Master Number, or 11:11. In both American Football and International Futbol, the number of players per side is set at 11 players against 11 players, or 11:11. Whether his is by intent and design we may only speculate and add a healthy dose of conjecture. However, at least as the Master Number is reflected within the game of Football, it is impossible to escape the parallels, especially considering that the fields of play are equally preserving and celebrating this most of important of Occult principles. In the game of American football, the very shape of the ball is as the "yoni" of the Vesica Piscis. No doubt that the shape of the ball aids in the way that the ball is able to cut through the air to aid in the playing of the game, but still, we cannot escape this fundamental reliance on the realities of "sacred form". Whether this is by intent and design we may only speculate and add a healthy dose of conjecture. However, in the game of Football, whether International or American, the parallel is not so easy to ignore. The traditional design of the ball in international futbol yields perhaps one of the most important keys to the Construct. This is the principle of "5=6". Now those who think that the Golden Dawn were possessed of some super secret mystical code unique to themselves are really only deluding themselves. In truth, the Construct as designed and woven into our Western culture has always been caste around a 26 digit "acroamatic Alphabet" that became what is modern day English. The fact is, the "Master Number", set against 11 as a cipher for 66, which when multiplied reveals 36 (fractal of 360) and a cipher for 666 (sum of 1:36 = 666) is perhaps one of the primary backbones to the Illuminatus philosophy, a philosophy caste against the Sun and Osiris. In order to center the Alphabet against the "Master Number", we must create a series of concentric circles through the digits and letters. Using the above matrix, we may then draw a circle around the "5" and "6", "4" and "7", "3" and "8", and "2" and "9", and then the "1" and "10", although this would require a bit of the modification of the above matrix. When this is accomplished, you have a dual set of letters wherein the addition of each pair adds to 11. Does the Letter Set "AQ" at position 1 equal 10? Does the Letter Set of "BR" at position 2 equal 9? Does the Letter Set of "CS" at position 3 equal 8? Does the Letter set of "DT" at position 4 equal 7? Does the Letter set of "EU" at position 5 equal 6? Does the Letter set of "FV" at position 6 equal 5? Does the Letter set of "GW" at position 7 equal 4? Does the Letter set of "HX" at position 8 equal 3? Does the Letter set of "IY" at position 9 equal 2? Of course, the center digit relative to a count sequence of 1 to 11 is the digit 6. 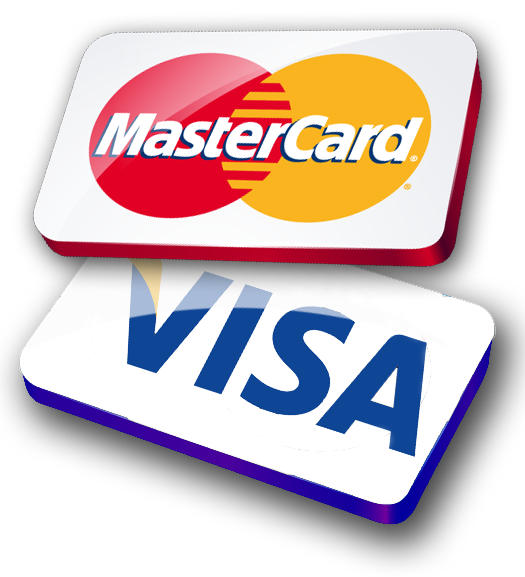 In a system that has been rationally designed around Pi, we would expect to find a rational clue encoded at the center point of "Master Number". Of course, we find precisely such. The only position where we can apply phonetics and see a rational construction is at number 6, or the center point of the distance between 1 to 11. Does the Letter set of "FV" at position 6 equal 5? Yes - the letter set of FV = 5 in that the word FiVe equals 5. You can then see this concept encoded into the game of soccer in the traditional design caste into a soccer ball. 12 regular pentagons and 20 regular hexagons. The 32-panel configuration is the spherical polyhedron corresponding to the truncated icosahedron; it is spherical because the faces bulge due to the pressure of the air inside. The first 32-panel ball was marketed by Select in the 1950s in Denmark. This configuration became common throughout Continental Europe in the 1960s, and was publicised worldwide by the Adidas Telstar, the official ball of the 1970 World Cup. 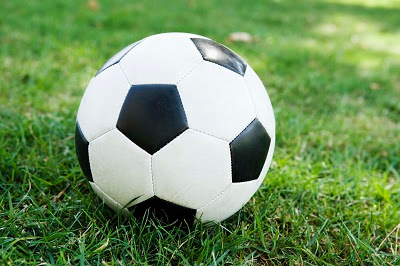 The familiar 32 panel soccer ball design is sometimes referenced to describe the truncated icosahedron archimedean solid, carbon buckyballs or the root structure of geodesic domes. We then can begin to apply "Qaballa" and a knowledge of the Letters into a more comprehensive philosophical system. We note that in order to create a truncated sphere (Pi), the Sacred Geometry design is made from 20 regular hexagons and 12 regular pentagons. The number 20 applies to T and the number 12 applies to L. These letters form the root to the word LETTERS, and so we may question as to whether the design in the word Letters, wherein TL is 2012 respective, is not too being associated with "prophesies" of a "new beginning". 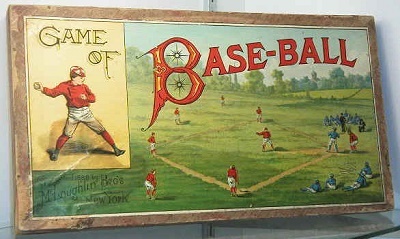 This 1886 advertisement for the game of Baseball, replete with "Horned Owl Letter B", perhaps hints at Occult signatures in the very early design of the game and its subsequent evolution. Since we recognize a connection between the "Horned Owl" as that of Ishtar/Isis, we then recognize the link to "Eve" of "Adam and Eve" fame. When we return to story of Adam and Eve, we then, of course, must return ourselves back to the Garden of Eden. Since baseball is a game whose goal is to "leave home and then return to", the very goal of the game carries with it the archetypal framework as designed into the Garden of Eden and the completion of the circle (Pi) inclusive. But how can the game of baseball be used to show the Garden of Eden as an occult construct? 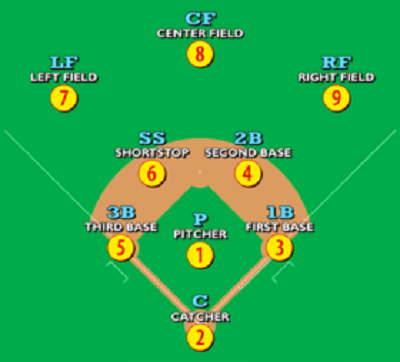 The game of baseball has a total of 9 defensive positions, defined as shown in the diagram. 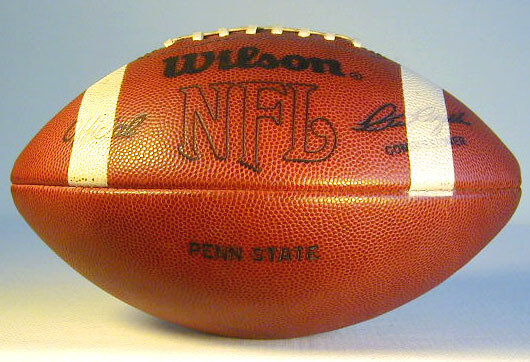 The process of keeping score of a game is really just a series of notations using numbers and dashes or lines. 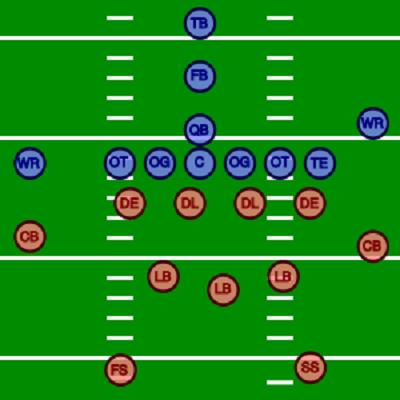 However, on the field of play, each team, again, is allowed a total of "11" "field" players. 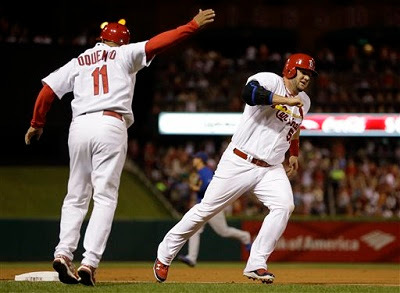 Since each defensive player is also and offensive player, the additional two players allowed on the field are known as "base coaches", and their primary role is to aid as guides to the players as they navigate from home to home. When these two base coaches are factored back into the field of play, we have another example of how the Master Number, or 11:11, is encoded into the world of sport. Baseball's method of encoding the Master Number is a bit deceptive because in general, the additional two field players are often not factored into the thinking, but field coaches are integral offensive players albeit their reliance and practice of athletic skill is essentially non-existent as a pre-requisite for fielding the position. The 9 defensive players are not questioned as being part of the field of play, but the addition of the two base coaches cannot be ignored. They exist and are integral to the game of play. 9 players plus 2 on field coaches surely equate to the number 11. But as we also know, from "two doth come eleven", and so from an Occult deconstruction, the two base coaches may be viewed as an independent number 11. When this transposition is effected, we now have the expression "9 players and 1 third base coach and 1 first base coach", or a numerical shorthand of "9-11". "Ten is the number of the ineffable Sephiroth, ten and not nine, ten and not eleven. Understand this wisdom, and be wise by the perception. Search out concerning it, restore the Word to its creator, and replace Him who formed it upon his throne." Here you begin to put it all back together, because through the various crafts of "Sacred Form" and "Sacred Sequencing", we know that at FV we locate the number 6. This is a sequence representation of the form above in that we have a two pentacles located inside two hexagons. The "X's" traversing as a center point on each of the "5's" are Roman Number 10. The paths of "8" and "16", a binary progression, for them IXXI, or "10 not 9, 10, not 11". To return all back to its "creator" we must then trace from beginning to end as a circle, going forth and proceeding back to "home". 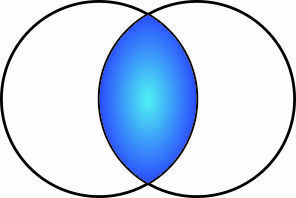 Within the "Vesica Piscis", which is "our home", we then find this matrix embed within. The proverbial "Abyss" is the region between the line formed by "EF" as demonstrated within. 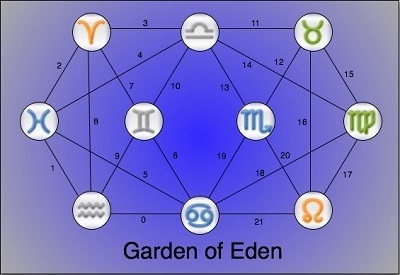 These 22 paths form the basis for the 22 paths of the Tarot. As an exercise, you may then seek to try to place the astrological correspondences back onto the Sepheras. Since the digits going into the point (sephera) located at the the Letter H are comprised of the 0, 5, 6,, 19, 18, and 21, you can sum these digits. Since 69 is the sign of Cancer, we may place Cancer at this sephera. Since the sephera located at Letter G has emanating from it the numbers 13:14, this is Pi and hence is the Scales of Ma'at. Here you place the sign of Libra which then "weighs the heart". You may then try to place the additional sephera as an exercise, but like baseball, there is a rational methodology to the exercise to return yourself to "home". Using the Tarot and numbers as your guidepost, you may then attempt to fit the astrological signs to each of the sephera. Two will be missing and contained in the "rabbinical tree of life" that is then overlay upon this matrix. Tribal quarrels were often settled over a soccer match. 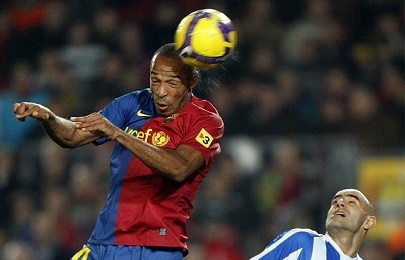 The whole key to soccer is that one may not use one's arms, except in the case of protecting ones "goal". 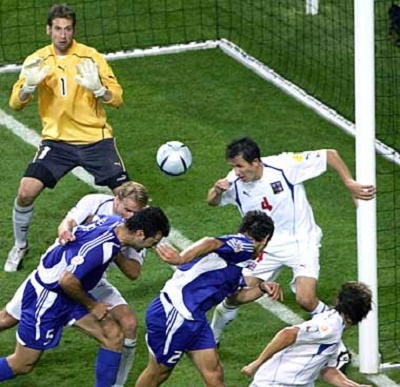 One of the most common features of soccer is that "using ones head" is an integral part of the game, and it is through the use of one's head that one is often found redirecting the ball towards the goal. Now apply this concept to international disputes on a grand scale. The lesson of soccer seems to be that the way to solve disputes is through using ones head and not through force of arms (military). Sports can teach much about the Construct and when one contemplates the rules of the games, perhaps even find wisdom and the Construct embed equally within. Osiris conquered the world (won) not through force of ARMS, but through the powerful persuasion that comes from a sharp understanding of the totality of the Craft that shuns the irrational use of force of arms. Recently I had a cognition about the significance of the powers of 11 and Pi, and the twin paradox, which lead me to consider the in fact Pi is the cosmic twin of the quark, one being at the level of an abstraction in relation to physical reality, and the other being at the level of a transcendental subjective reality. This developed from a realisation that in my own language Gaelic (Irish) there was no correct word for zero. Having discovered a little something about nothing, I then went on to explore nothingness and infinity, and the symbol for infinity, in my comprehension is simply that of two zeros placed side by side. Yes - I agree with some of your sentiments regarding invokations of Crowlian Jewish "praetorian intelligences", but that is a whole topic in and of itself. And yes, thanks too for recognizing that this is not about calling up dead spirits. This work is intended to benefit the living and not the dead. What's most interesting is that 11 x 11 is 121, 11 x 11 x 11 is 12321, and 11 x 11 x 11 x 11 is 1234321, and I have a way of teaching this on the first, or second, or maybe third day of school. Wow, cool stuff as always, especially the dice/belly of the serpent stuff! And don't forget, a baseball consists of 2 vesica-pisces shaped pieces of white leather, weighs between 5 and 5.25 ounces (142-149 grams), and is 9 to 9.25" in circumference, which translates to a diameter of 2 7/8" to 3". Also, it is typically sewn together with red thread, (just like a scapegoat) and there are 108 'double-stitches' on a baseball - which are often referred to as 216 stitches. 21.06.1999 to 12.08.2012 is 11011 days. On his 22nd Squadron there is PI 22/7 symbol. Mere Coincidence?? If on 12th August 2012 a megaritual takes place, it would propell him as the only survivor right into the world's "circle of LIFE" stage as the No 1 world leader and total focus personality. "Recently I had a cognition about the significance of the powers of 11 and Pi, and the twin paradox, which lead me to consider the in fact Pi is the cosmic twin of the quark, one being at the level of an abstraction in relation to physical reality, and the other being at the level of a transcendental subjective reality. This developed from a realisation that in my own language Gaelic (Irish) there was no correct word for zero. Having discovered a little something about nothing, I then went on to explore nothingness and infinity, and the symbol for infinity, in my comprehension is simply that of two zeros placed side by side." Quarks, contrived abstractions, have been debunked. You're really just talking about the torus or double torus. Looks kinda like an 8. Too, various scientists challenge this idea of infinity. There's a math construct called "double infinity". The whole thing is up for grabs; thanks to divorcing from Nature and playing endless math/symbol abstraction games. Abstraction, as cool as it is to play with, will spin your wheels as far as growth (or maybe finally knowing how to tap the aether) - or understanding what needs to be done by you in order to get off the wheel and or out of this matrix. This is predicated on one's beliefs. Now who has given us most of them hmm? All this fits together - and helps explain Why things are the way they are. Folks playing while they get set up. I'm grateful for not having endured say the French countryside in the 100 Years War. Pick your hell. Point tho is that today we're on the brink of both complete take over/police state and toxified extinction. Guess what Their tools have been? The countless symbols, myths, religions, systems, etc etc... Contrivances. Much based on abstraction, necessarily so. When the masses buy into and then Internalize whatever of this they become infected in way by a False Belief. This is now ubiquitous - and until This clears up the game is lost because we are Subconsciously controlled by internalized false beliefs. This Is Their Game and always has been. Not sure if this was a vent. I totally forgot to mention something. Gaelic. This was one of the so called "organic" languages, akin to Old Norse in that sense. These were languages that were suppressed in various times and places. So point here is that, as with everything else... it's been this from tribalism to standardization. It seems clear the Construct not only is an aspect thereof but in fact Enabled their whole game or rather agenda. But as we see, the deeper we go, the revelations are on par with what we started with. But the above glyph looks to me a more complex system similar to Vortex Math applied to the torus. The math is readily apparent. So it's about a process. And in our western case much appears to be based on the accidental tilt of the Earth's axis. Did you know They call the public "another species"? Not sure if this is the same group behind the Construct. Actually, their Game may lead to their own downfall simply Due to How all the above works. Rather, in the larger picture. The Isisian Codes - A Qaballa for All?